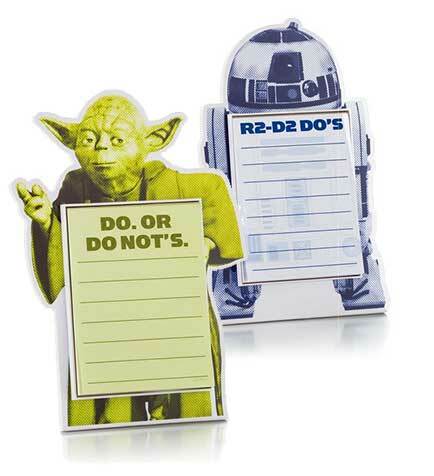 Yoda™ and R2-D2™ are ready to keep you on task with their versions of a “to-do” list. Yoda™ on note pad: “Do. Or do not's”. R2-D2™ on note pad: “R2-D2 Do's”. Plastic stand with built-in easel. Includes approximately 100 sheet note pad. 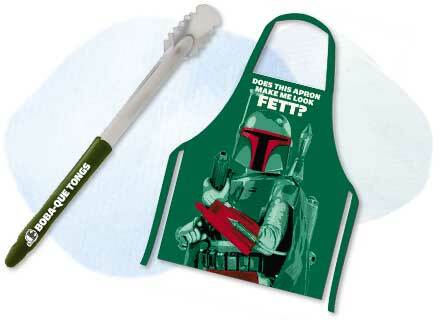 Make pizza night a lot more fun for your Star Wars fans. 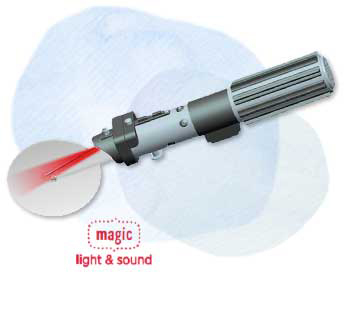 This lightsaber pizza cutter lights up and plays lightsaber sounds when the button is pressed. The slice is strong with this one. Metal cutting wheel and armature. Copyright of The Life is good Company, © 2015. All rights reserved.